Nanny Falls is a beautiful treasure which falls under the jurisdiction of the Moore Town Maroons.There are steep steps that lead to crystal clear waters flowing off rocks approximately 35 feet in height, tumbling into a five-feet pool of water.The sight of the waterfall is breathtaking. 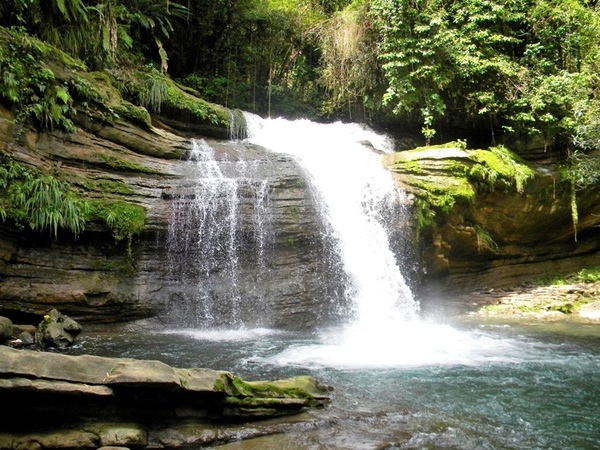 This natural beauty is exactly 35 minutes away from the Bay View Eco Resort & Spa. Jamaica's Eco-friendly pearl resort, nestled perfectly in Dolphin Bay, Port Antonio. Adventurers and nature lovers from all over the world make Bay View their choice hotel because of its eco-centric ambiance, it's close relations and proximity to Nanny Falls and other awesome attractions in and around Portland, Jamaica. Nanny was a leader of the Maroons at the beginning of the 18th century she was an Ashanti a small, wiry woman with piercing eyes. She was born in Ghana around 1686. Brought to Jamaica as a slave, she and her brothers, Accompong, Johnny, Quao, and Cudjoe all ran away from their plantation and hid in the mountains. Later, they separated to organize more Maroon communities – Cudjoe to St. James (Cudjoe Town), Accompong to St. Elizabeth (Accompong), Nanny and Quao to Portland, where they controlled an area known as Nanny Town.She was known by both the Maroons and the British settlers as an outstanding military leader who became, in her lifetime and after, a symbol of unity and strength for her people during times of crisis.Her cleverness in planning guerrilla warfare confused the British and their accounts of the fights reflect the surprise and fear which the Maroon traps caused among them. Why was the fall named after the national heroine? They named the falls after Nanny of the Maroons because of her bravery and her great leadership skills.They named the falls after her to show and remember her for her great work. Nanny’s life and accomplishments have been recognized by the Government of Jamaica and she has been honored as a National Hero and awarded the title of “Right Excellent”. Currently, there are only seven such National Heroes and Nanny is conspicuous as the only woman. Are the Nanny Falls rumors true? The Nanny Falls has healing properties and the warriors, in times gone by, would come here to prepare for battle. While they were preparing, they would take a cut and then take a dip in the waters of the falls. If they returned with the cut they would not be allowed to go into battle. This is the healing power of the falls,"
Visiting Nanny Falls soon? Coming to Bay View Eco Resort & Spa! We want to introduce you to Jamaica's wonderful culture while having a lot of fun and adventure. 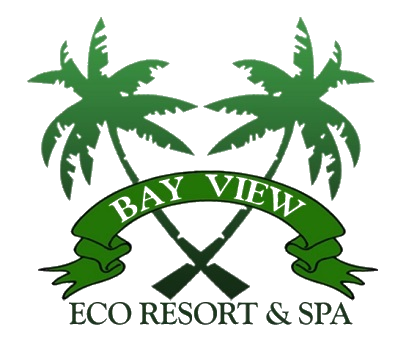 Bay View Eco Resort & Spa is an experience you will never forget. Come enjoy Portland's glorious falls, beaches, and our rejuvenating spa. And don't forget the food. Ven y disfruta!!!! For 20% OFF on your next Bay View Jamaican vacation & FREE Jamaican travel tips, every week. Just click here.